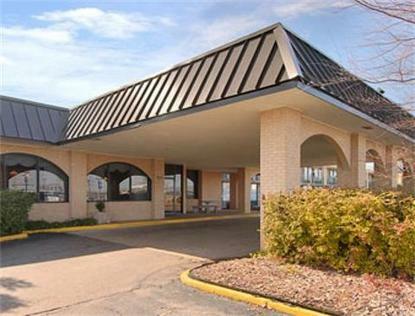 The Ramada Natchitoches, Louisiana is Conviently Located on Interstate 49 just off Exit 138. The Ramada Natchitoches is Located only Minutes from Downtown Natchitoches. This Hotel Serves the Louisiana Towns of Natchitoches, Many, Robeline, Coushatta, Winfield, Campti, Boyce, Colifax, and Zwolle Louisiana. The Ramada Natchitoches is Conviently Located Near Northwestern State University, Natchitoches is the Oldest Settlement in Louisiana. The Ramada Natchitoches offers the largest Meeting and Banquet Facilities in Natchitoches Hosting Events up to 300 People. The Ramada Natchitoches is Conviently located close to All Historic Attractions and Downtown Natchitoches. The Hotel is a short Drive to Several Restaurants, Plantation Homes, The Historic Riverfront, and Shopping. The Ramada Natchitoches Offers a Full service Restaurant and lounge - Cafe St. Denis Restaurant and The Ole Fort Pub Offers Room Service. Free Local Calls, Guest Laundry, Fitness Center, Outdoor Pool, Microfridges are available, and Cable TV with HBO.